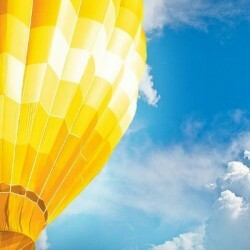 October Proclaimed as Lighten Up! Lincoln Parish Month! This year the campaign was kicked off by Mayor Hollingsworth who proclaimed October as Lighten Up! 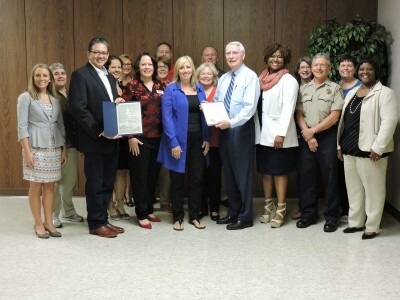 Lincoln Parish Month, and Senator Gallot presented a certificate of commendation to the previous campaign partners as well as new partners, Louisiana Tech Kinesiology Department and Grambling State University. The goal is to provide free healthcare and wellness training, health screenings, and connections to a variety of health-related resources. The day will begin with a dynamic speaker, Lucy Douglas from New Beginnings Wellness Center & Spa. If you want to improve your health and lifestyle, be forewarned, this lady is not for the faint of heart. She sugar coats nothing! Come expecting to learn, and leave motivated enough to make change happen. She’ll talk about not getting sucked in to marketing ploys, making correct nutritional choices, what being fit means, and about how simple adjustments in your daily activities make big changes. Learn how to be Fit & Fab! Other planned activites include: chair exercises for seniors presented by Victoria from the Kinesiology Department at LA Tech, CX Works by Jane Jenkins from Route to Fitness, ballroom dancing, and yoga. The day will finish out with a fashion show presented by Lewis Boutique. Do you know how to dress your body style? A 40 vendor expo will be open the entire time. This will be a chance to meet many health related companies in our neighborhood, register for great door prizes, get free health screenings and more. Also on hand will be The Health Hut bus, LifeShare, and a mobile mammogram unit. Lincoln Parish schools are already making Lighten Up! & Get Fit artwork that will be viewable at the event. This is a FREE event. Children are welcome. Library staff will be ready for story time, and healthy snacks will be available. What are the benefits of being fit? What are the consequences of not being fit? Am I a victim of marketing? How can I make sound nutritional choices? What tools do I need to add to my fitness toolbox? Join and Share this event on Facebook!